Microsoft has suspended the release of its fixes for the catastrophic Meltdown and Spectre bugs, after they reportedly bricked computers running AMDs processors. Certain customers who installed Microsoft’s fix for the scary CPU bug found their PCs unable to boot. That’s scant comfort to those affected though, with social media and Microsoft’s support forums both filled with the caterwauling and gnashing of teeth from those affected. My Athlon64 x2 notebook was bricked too. Fortunately Windows 10 automatic repair made it boot again. I'm sitting here nervous with 3 other newer AMD cpu's waiting to update. Microsoft has now taken the radical step of suspending updates for AMD machines, in order to stop them from being rendered unbootable. This is pretty stunning; not only are AMD-powered PCs left vulnerable to Spectre and Meltdown, but they’re also at risk of anything else that crops up while Microsoft is looking into the situation. 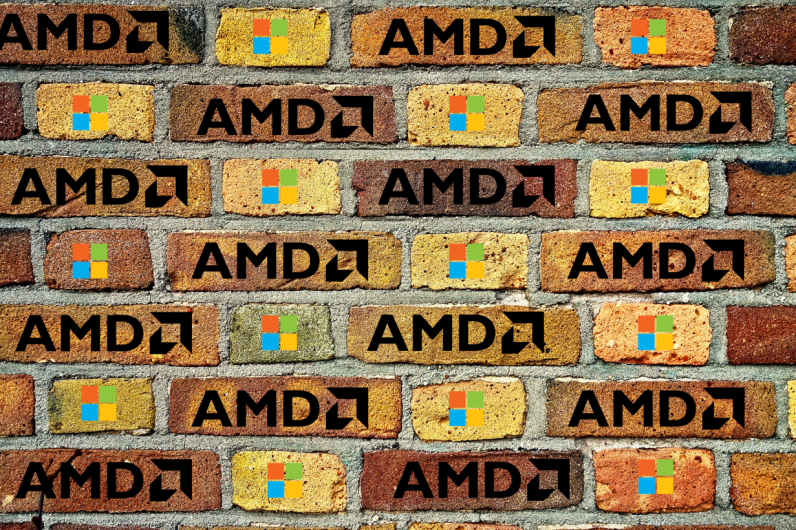 Microsoft says they’re working with AMD to resolve the problem, and expects things to get back to normal soon. In the meantime, those with bricked PCs can click here to find out how to restore their machines.